This page serves as helper for the orientation at the start of studies. The start of study brochure provides a summary of all important information on the start of studies. 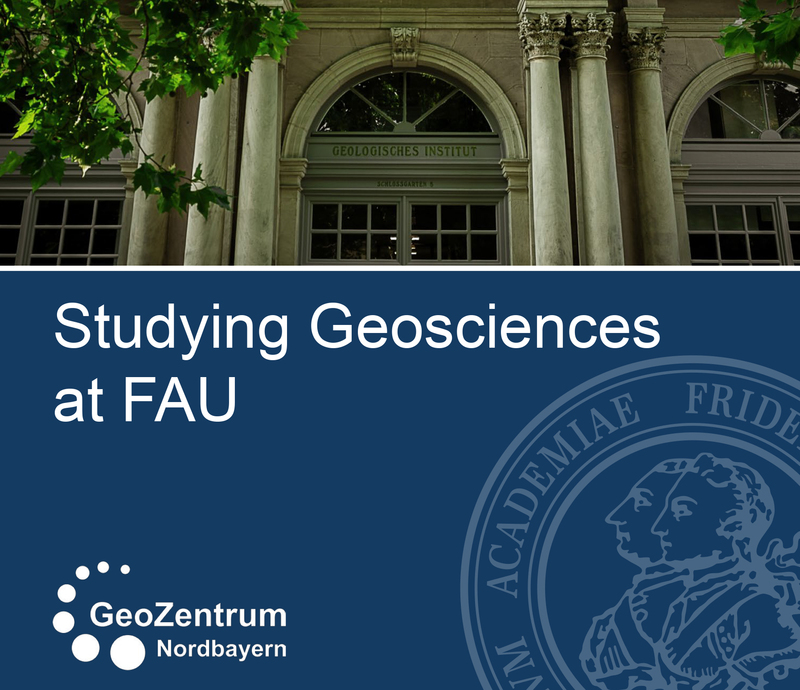 The Introductory Event for the Freshmen in the Bachelor Geosciences will take place at the 04.10.2018 at 11 am in the room “Hörsaal Geologie”. 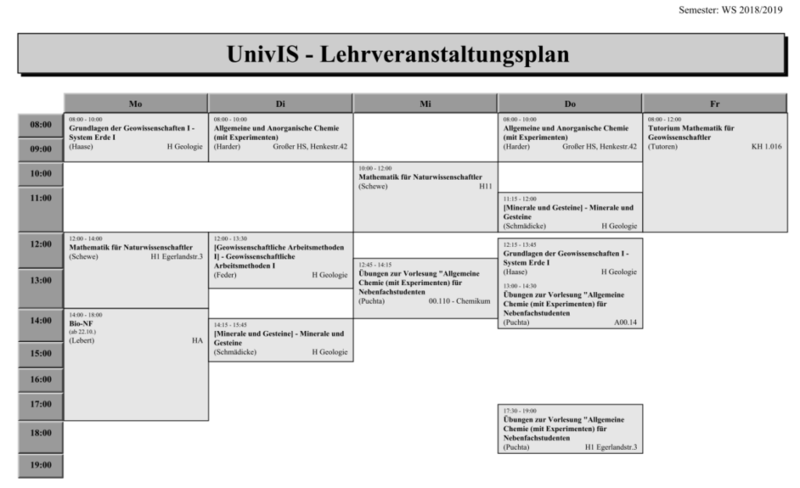 The timetable can be arrange via the webpage UnivIS. Therefore, please click on “course list (Vorlesungs- und Modulverzeichnis nach Studiengängen)” and choose “Faculty of Sciences => Geowissenschaften (Naturwissenschaftliche Fakultät => Geowissenschaften)”. You will see a listing of all lectures in the respective semester and area of specialisation (Master) by click on “Lehrveranstaltungsverzeichnis => X. Semester”. By adding of a lecture to the individual collection (activate checkbox and press button “Auswahl zur Sammlung hinzufügen”) it is possible to create your personal timetable, which can be accessed via the link “Collection/class schedule (Sammlung/Stundenplan)” (top left on the webpage). It is also possible to save the timetable as PDF. Please click on “class schedule (Stundenplan” in the menu on the left and choose “PDF landscape (PDF Querformat)” in the following window. Aim of the event is to present the structure and progress of the Bachelor Geosciences. The freshmen pub crawl will take place within the first two weeks of the semester. The exact date will be announced by the student association (FSI) by posting. Usually on the first Monday after the great day of Holy Barbara (04. December). Date and meeting point will be announced by postings. That much beforehand: here the freshmen are asked! The student association (FSI) organises a field trip for the freshmen to the Ries of Nördlingen. More information about that will be shared via posting. Top secret! Will take place in the summer semester and is must go for all freshmen.